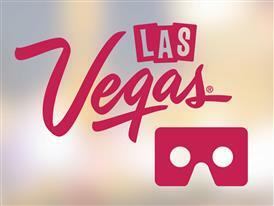 LAS VEGAS – Las Vegas has released 12 new only-in-Vegas videos on the destination’s revolutionary Vegas VR mobile app. From driving down the iconic Las Vegas Boulevard, to being greeted by renowned chef Daniel Boulud at db Brasserie at The Venetian Las Vegas, the app continues to bring Las Vegas to life. Users can now enjoy the content listed below as Las Vegas continues to innovate with more interactive and immersive content to the app. Additional features in some of the videos include fact overlays and time-lapse footage. Sky Villa Tour at Palms Casino Resort – New content! Marquee Nightclub Experience at The Cosmopolitan of Las Vegas – New content! Cocktail Demonstration by Salvatore Calabrese at Bound at The Cromwell – New content! Party Brunch Experience at LAVO at The Venetian Las Vegas – New content! The Buffet at Wynn Las Vegas – New content! Timelapse of Ultimo Culinary Event at The Venetian Las Vegas – New content! Fairway Villa Tour at Wynn Las Vegas – New content! Drive Down Las Vegas Boulevard – New content! Culinary Demonstration with Celebrity Chef Daniel Boulud at db Brasserie at The Venetian Las Vegas – New content! Art Motel Tour at Life is Beautiful Festival in Downtown Las Vegas – New content! Cocktail Demonstration Glutton in Downtown Las Vegas – New content! g-Suite Tour at Palms Casino Resort – New content! Vegas VR is one of the most accessible VR apps on the market, accessible with a VR viewer, Google Cardboard or by using gyroscope, swipe and zoom functions. Vegas VR is available for iOS and Android platforms and is free to download at http://VRtv.Vegas or through the App Store and Google Play. A selection of 360-degree videos are also available to view on Las Vegas’ YouTube channel. Additional Las Vegas digital assets include GeoVegas, a platform that features curated itinerary collections and incorporates interactive 360-degree videos and photos of iconic Las Vegas attractions, dining, nightlife and more; VIVA, a dynamic and engaging platform that captures the best Las Vegas has to offer through original destination digital content, and WhereToVegas, a mobile app that provides visitors with a social heat map of trending locations and events in Las Vegas, helping visitors maximize their Vegas vacation experience by informing them of the ‘hot spots’ in town during their stay.